Greenwood Heating and Air is Seattle born and raised. We have been around since 1918 and have grown beyond what we ever thought we could. How did we do it? Through the support of the great people of Puget Sound area. Our valued clients have given us the opportunity to provide heating and cooling for thousands of people in our city and we would love to give back to our community that has helped nurture us into being Washington’s Oldest and Most Trusted Provider of Heating and Cooling Needs. We understand that putting in new heating equipment can be a daunting and expensive obstacle for many people. In some cases, it can be a huge sacrifice for people in need, especially during the colder months of the year. 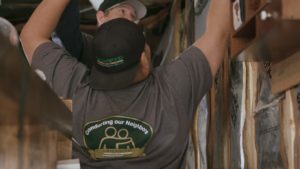 That is why starting this holiday season, Greenwood Heating will be starting the ‘Comforting Our Neighbors’ Campaign, aimed to help those in need of heating in their homes. Whether it’s making a contribution to a local non-profit, or donating your time to a favorite charity, we encourage you to help make a difference in the lives of those closest to us. You’d be surprised how even the smallest efforts can make a major difference in the lives of our friends and neighbors. Who knows? The biggest life you affect may be your own! 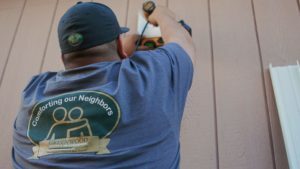 Click here to Learn more about Our Comforting Our Neighbor Campaign! This year’s Northwest Harvest food drive was an AMAZING SUCCESS! We ended up receiving $1000 in cash donations and 12 full boxes of food! Thank you to all who participated including our clients, vendors, and of course our team! 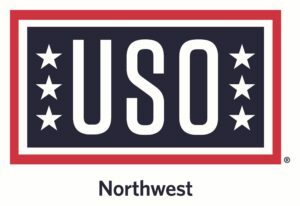 We are happy to announce that Greenwood Heating is a proud sponsor and supporter of the USO; an organization that strengthens America’s military service members by keeping them connected to family, home and country throughout their service to the nation. 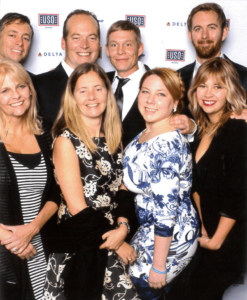 Greenwood Heating was able to sponsor and attend this Five-Star Gala in 2017 and 2018 that raises money for this important cause. 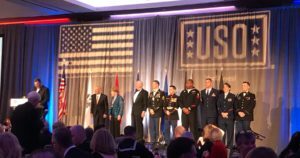 We were honored to not only meet with veterans and active duty military and their families but to also share a table with high level military personnel. In 2017, our hosts were Tech Sergeant Jesse Futch and his lovely guest. Jesse was awarded the Airman of the Year award for his service in the US Airforce. (He is third from the right in the photo on stage).